You are here: Home / Health and Wellness / Are You Allergic to Bee Stings? One of my worst childhood memories came courtesy of my father’s attempt to remove a hornet’s nest from the bush on the side of our house. I managed to come outside at exactly the same time one of the angry insects decided to seek revenge. Instead of finding my father, it found my face and gave me a great big kiss right on the upper lip. In my memory, my lip and head swelled to monstrous proportions. But, my mother assures me it wasn’t that bad for being stung in the lip. And I was all right after a trip to the ice cream shop. Since that day, I have what many may think is an overreaction to the presence of bees and other stingy insects. In other words, I jump up, scream and run away while proclaiming I will certainly die if stung. Granted, a stinger to the face isn’t pleasant, but does it mean I’m now deathly allergic to bee stings? “Symptoms like these need immediate attention,” says Dr. Jeong. Don’t be afraid to call 911 if someone is having trouble breathing or passed out. While my experience with a hornet stinger did give me a fat lip and lots of tears, I didn’t experience a systemic, severe allergic reaction, so it’s safe to say I can stay calm when bees and hornets come around. But wait, won’t I have an even worse reaction now since I had a bad sting in the past? While I couldn’t help my poor timing as a child, there are a few things you can do to avoid getting stung by pesky wasps, bees or hornets. Don’t get excited when buzzing guests crash your party. Remain calm and slowly move away. 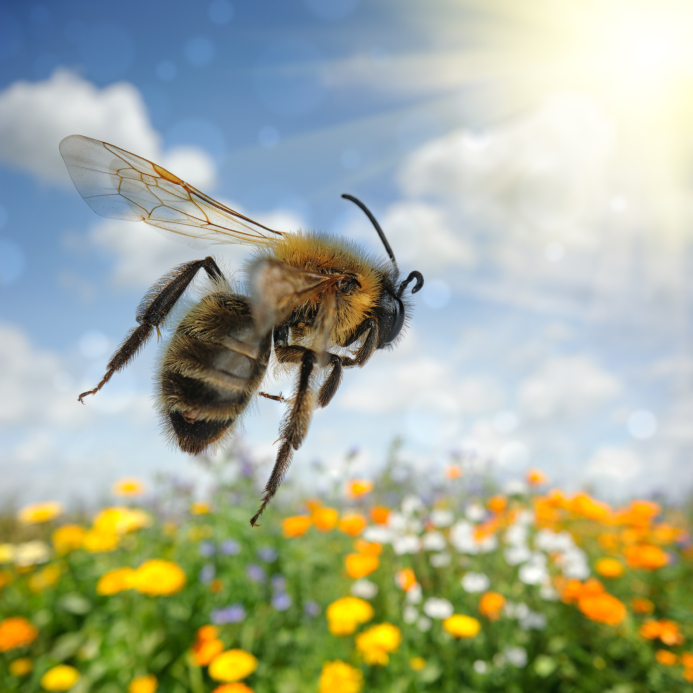 Don’t confuse bees by acting like a flower – avoid wearing brightly colored clothing and perfume when outside. Don’t go barefoot. Wearing sensible shoes when out in the yard will help you avoid stepping on a stinging insect. In most cases, stings are easily treated at home even if they are annoying or painful. And eating some ice cream doesn’t hurt either.